In stock -This product will ship today if ordered within the next 6 hours and 28 minutes. 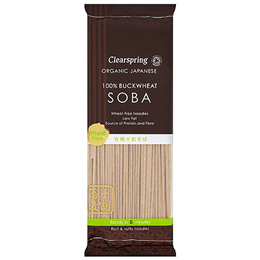 Clearspring Organic 100% Buckwheat Soba noodles are traditionally made by a specialist Japanese producer using the finest freshly milled buckwheat flour and time-honoured methods. These unique Soba noodles with their full nutty flavour and distinctive texture are wheat free and a source of fibre. 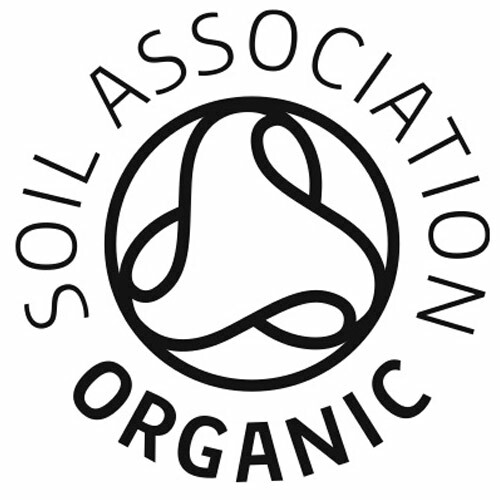 Organic buckwheat flour (89%), water. To prepare these rich tasting Japanese noodles, bring 2 litres of water to the boil, add noodles (one bundle per serving) and stir. Boil gently for 5-7 minutes then rinse immediately under cold water. Also you can drink the cooking stock adding a dash of soya sauce, as it so full of goodness of the whole buckwheat grain. Below are reviews of Clearspring Organic 100% Buckwheat Soba Noodles - 200g by bodykind customers. If you have tried this product we'd love to hear what you think so please leave a review. Clearspring Organic 100% Buckwheat Soba noodles are traditionally made by a specialist Japanese producer using the finest freshly milled buckwheat flour and time-honoured methods.